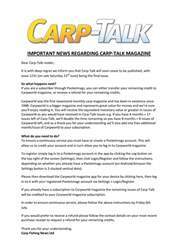 This week’s issue of Carp-Talk (issue 1046) is available to download now. Amongst the catches, we’ve got a stunning heavily scaled 49lb 6oz mirror from Wingham for Rob Burrage, the story of Crowy’s Echo Pool lake record and big fish from the likes of Welly, Swan Valley, Fryerning, Chilham Mill, Grenville’s and various others. 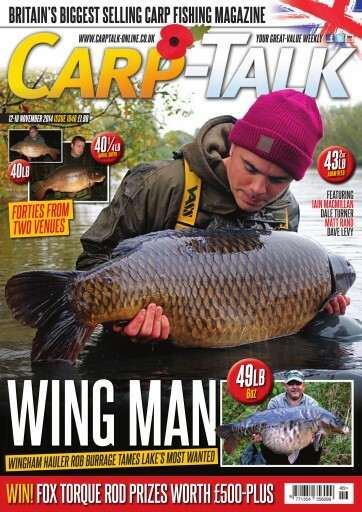 We take a look back at the Midlands Carp Cup final at Merrington Carp Fishery, Dave Levy makes an improvement to one of his favourite rigs, and Matt Rand looks at tackling rich water with an abundance of natural food. 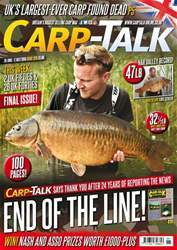 In ‘Trade Talk’, products from Avid, ESP, Fox, Korda, Kryston and Diem go under the spotlight, Dale Turner explains how his bottom-bait rig has evolved during his quest for the perfect hook hold, and Iain Macmillan returns to a special French venue. 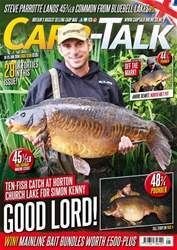 The Fox-Mainline Carp Angler of the Year competition continues, the Sticky and CC Moore monthly winners are announced, and there is £500-plus worth of Fox rods to give away.